Jeff has been involved in the ministry since 1973 as a Pastor/Teacher and Bible Expositor. The emphasis within his ministry is a verse by verse study of the Word of God, giving its full counsel. His studies pay particular attention to the practical application, contemporary examples, and incorporation of the Word into our daily lives. As a result, his studies are extremely interesting, informative, and spiritually challenging. His influence has experienced a steady and substantial growth over the years with people of all ages. Under the ministry of Jeff Johnson, Calvary Chapel of Downey has grown to average weekly attendance of more than 9,000. Teaching seminars, Bible classes, home studies, various training programs, mission outreaches, as well as a Christian Elementary & Jr./Sr. High School, and Bible college meet the needs of this large body. Calvary Chapel’s impact is growing from Southern California to virtually around the world. Jeff is supported in his ministry by his wife Karyn. Pastor James Kaddis is the founding and Senior Pastor of Calvary Chapel Signal Hill in Signal Hill, CA. By the grace of God, Pastor James has been serving in the ministry for over 24 years. Since 1996, he has also served as a police chaplain. Pastor James has a background in the area of theology, network engineering, computer forensics, and law. He previously served as an Assistant Pastor at Calvary Chapel Downey and the Dean of the Calvary Chapel Bible College, Downey Extension. He is also considered an expert in the field of Computer Networking and Security, and has extensive experience working in that field with both law enforcement and other types of professional organizations. Pastor James represents the first generation in his family to be born in the United States to parents that were both born and raised in Egypt, and was raised with arabic as a second language in his home. This background has been used by the LORD to give James a love for biblical languages. In April of 2016, Pastor James married his beautiful wife Nicole, and is overwhelmed by the privilege to serve the LORD by her side! Pastor James’ teaching ministry spans across the nation through the “Light on the Hill” radio ministry and is also on the Pastor’s Perspective team as a permanent fill in. Pastor David Rosales is the Senior Pastor of Calvary Chapel Chino Valley. In December of 1970, David gave his heart to Jesus Christ after attending a Maranatha concert, completely transformed from a life of drug and alcohol abuse. He was ordained in 1979 by the ministry of Calvary Chapel Claremont, and in 1981 began what is now Calvary Chapel Chino Valley. Pastor David’s ministry extends beyond the Chino Valley through his radio program A Sure Foundation, and through various teaching opportunities across the country and around the world. He has traveled to countries such as Austria, China, Colombia, El Salvador, Germany, India, Japan, Mexico, Peru, and the Philippines, evangelizing and teaching the Bible in a verse-by-verse style. Under the ministry of David Rosales, Calvary Chapel Chino Valley gathers for regular services on Sundays and Wednesdays, and offers Bible studies for men, women, and children throughout the week. He is supported in ministry by his wife Marie, their grown children, and grandchildren. Dave is the Senior Pastor at Calvary Chapel Pacific Hills. He has served in this capacity for over 15 years. Prior to that he was an assistant pastor at Calvary Chapel Costa Mesa for 25 years. Dave has been married to Anne for over 30 years and they have two grown sons, William (who is married to Brittany) and Danny (who is married to Lauren.) In addition to this, Dave has two grandchildren (Sadie and Brandon). Dave loves teaching the word of God, riding his Harley, and watching mixed martial arts. In addition, he leads a weekly prayer meeting, and a men's discipleship group. As the shepherd appointed over the flock at CCSFS, he seeks to lead those in the fellowship in to a deeper relationship with the Lord Jesus. He came to know Christ at the age of 16 after a friend invited him to attend Calvary Chapel Downey. Pastor Ray would go on to serve at Calvary Chapel Downey in the Jr High ministry. During this time, he connected with a group of young adults who had a passion and love for Jesus. Eventually, he would teach a home Bible study that would serve as the beginning of Calvary Chapel Santa Fe Springs. He would later attend Biola University and graduate with a degree in Biblical Studies. Pastor Ray was married on January 13, 1990 to his wife, Cynthea. They have four children: Stephen, Alyssa, Abigail, and Kahleen. 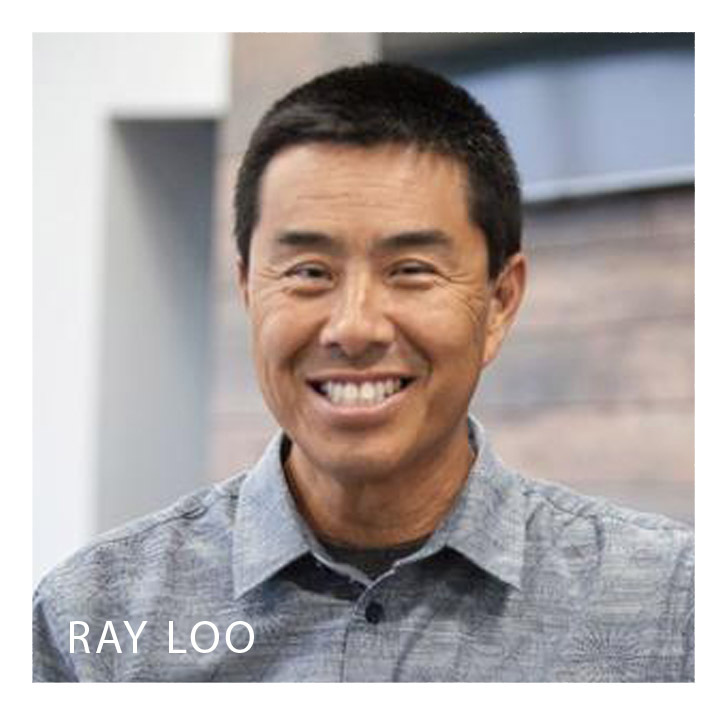 In his free time, Pastor Ray enjoys hanging out with his wife and kids, going to the desert to ride dirt bikes and quads, fishing and playing guitar. Today I find myself in somewhat of an unusual and peculiar place and yet exciting and adventurous all at the same time. I have a new work and a new direction in my life. One thing I am sure of is my love to minister and mentor women seeking to grow in their faith as a devoted disciple of Jesus is as strong as it has always been. The need for this type of ministry is enormous. My desire is to travel and attend Pastor’s Wives Conferences, Women’s Retreats, Leadership Conferences, Outreaches, Events and Teas to share the need for Agape’ love, how to apply the Word of God in our daily lives, fellowship, prayer and the need for the Baptism of the Holy Spirit. In addition, I have always felt the need and considered it a privilege to instruct the women to become servant leaders and to use their gifts as God has enabled. These are the things and so many more that need to be taught to the new generation of Calvary Chapel women. As being a Pastor’s Wife for over 40 years, having served on Kay Smith’s Board for over 35 years, spoken at hundreds of retreats and events, ladies Bible Studies and prayer meetings at Calvary Chapel South Bay and other places, I do feel qualified and equipped to pass on what I have learned to others. I am 100% a Calvary Chapel gal, I am 100% sold out to my Lord and Savior Jesus Christ. I desire and feel compelled to continue the work God started in me 44 years ago. Maranatha!